Byzantine Chains 8,0 mm solid 925 Sterling Silver! 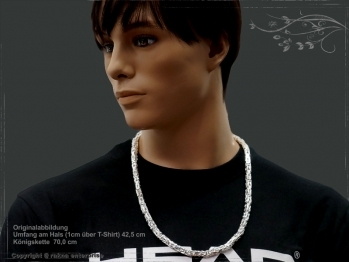 Byzantine chain lenght 50,0 cm with karabiner, a medium-heavy chain for men and women. 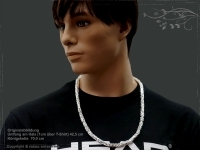 The Byzantine chain is made of 925 Sterling Silver with brightly polished surface and diamond covered edges a medium-heavy chain for men and women. Byzantine chain lenght 55,0 cm with karabiner, a medium-heavy chain for men and women. Byzantine chain lenght 60,0 cm with karabiner, a medium-heavy chain for men and women. Byzantine chain lenght 65,0 cm with karabiner, a medium-heavy chain for men and women. Byzantine chain lenght 70,0 cm with karabiner, a medium-heavy chain for men and women. 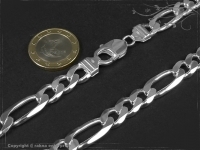 Byzantine chain lenght 75,0 cm with karabiner, a medium-heavy chain for men and women. 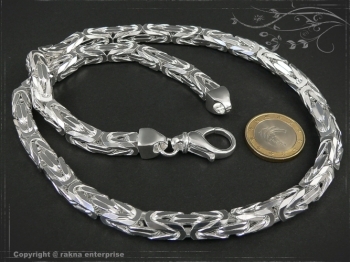 Byzantine chain lenght 80,0 cm with karabiner, a medium-heavy chain for men and women. Byzantine chain lenght 85,0 cm with karabiner, a medium-heavy chain for men and women.